3DComposer PRO has been released. 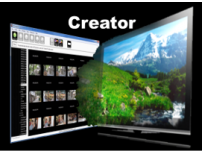 It is the ultimate tool for editing 3D photos and manipulating objects in the 3D space. Please visit the 3DComposer PRO page to download 3DComposer 5.0 with the PRO capabilities and find more information including training videos and examples of its capabilities. For more information on specifications and operations please visit the 3DComposer page. The features enabled by each license are shown in the table below. 3. Access and enjoy not only your personal 3D photos, but also other content supplied by other users as well as professional content supplied by 3DMedia. 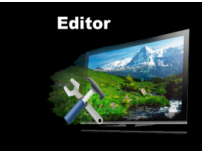 The most advanced version of 3DComposer with 3D object editing capabilities. 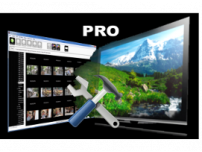 3DComposer PRO can be used to correct 3D photos when there is movement of objects between the left and right images, to create 3D photos from a standard 2D ones, and to edit 3D models. Full editor that lets you easily edit 3D pictures. Includes swapping of left/right views, zooming, depth adjustment, optimization, cropping, color adjustment.